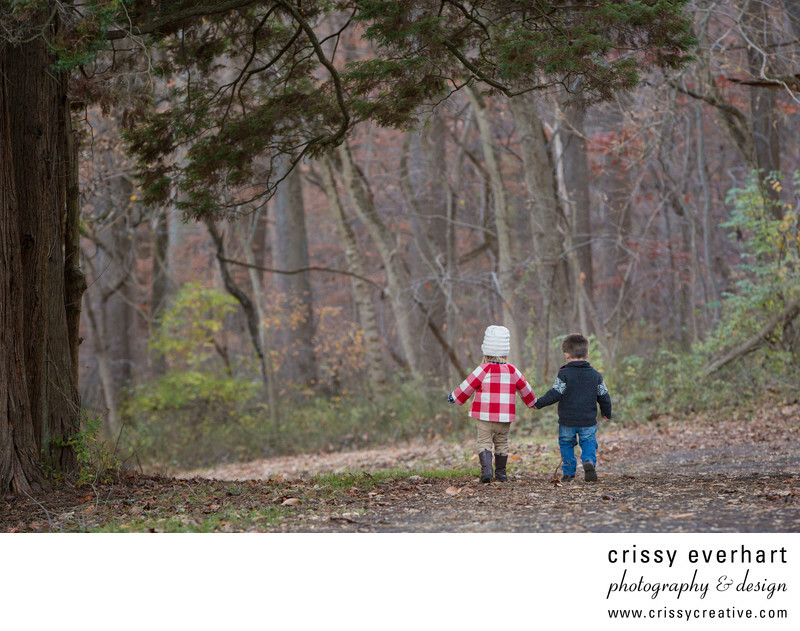 Twin two year olds hold hands and walk down the wooded path at Ridley Creek State Park in Media, PA. This session was for Christmas / Holiday cards and was the first time I got to photograph these blonde little twins, who are now almost school-aged, and regular portrait customers. They make me smile every time I see them!